OUYA and Ludeme Games today announced that Chess 2: The Sequel will launch exclusively on OUYA Tuesday, January 21st. Chess 2 is the spiritual successor to the classic tabletop game; it combines the strengths of old chess with modern game design, and (empowered by the capacities of the OUYA platform) provides players with innovative new gameplay. The offline mode is free. WOODLAND HILLS, Calif. — Dec. 3, 2013 — 505 Games, a global publisher of video games, today announced that Spearhead Games’ highly-anticipated co-op indie puzzler Tiny Brains is now available for download in North America on the PlayStation® Network for PlayStation®4 computer entertainment system for $19.99. The game will soon be available for PlayStation®4 system in European territories and on Steam for Windows PC and PlayStation®3 computer entertainment system for all territories this winter. 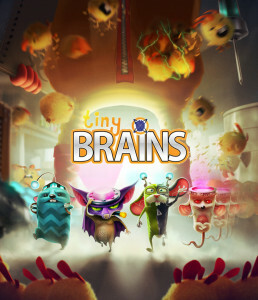 To experience the co-op craze, grab some friends and download Tiny Brains today at http://us.playstation.com/ps4/games/tiny-brains-ps4.html.